Clean Your Sink with Franke Inox Cream! Franke Inox Cream helps keep your stainless steel clean, sparkling and in an 'as new' fresh condition. Inox Cream is a non-abrasive cleaner that as capable of removing the toughest of stains. 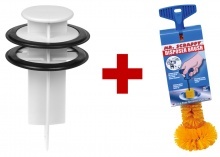 Rinse thoroughly after using, wipe dry with a clean soft cloth - and your sink will be gleaming! Recommended by Franke - but also ideal for other stainless steel sink manufacturers. # Top Tip! - Don't use bleach to clean your stainless steel sink. It will cause pitting in the sink's surface. 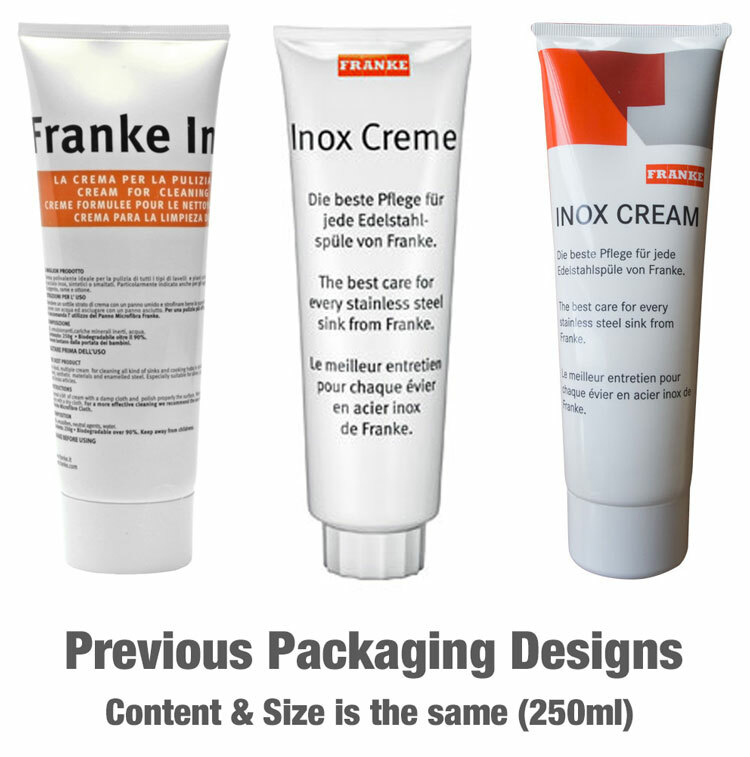 Multi-Buy Discounts of £2.00, £3.00 and £4.00 are available when you order 2, 3 and 4 Franke Inox Cream. Recommended by Franke for Stainless Steel Sink cleaning. 250ml Tube (8.5 oz) - Model 903. Instructions for use: Spread the Inox Cream on a damp cloth, rub lightly onto the surface and allow to set. Then rinse off with water and polish with dry cloth. 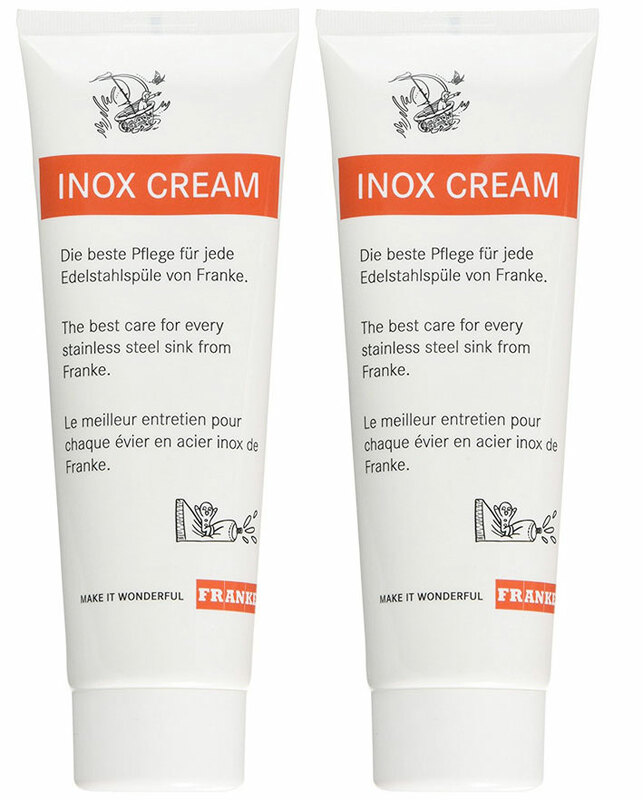 BUY 2 Franke Inox Cream and Save £2.00. BUY 3 Franke Inox Cream and Save £3.00. BUY 4 Franke Inox Cream and Save £4.00. Item as described. Perfect for our sink. Thanks. Arrived promptly and does the job well. Thank you. Glad to have located it. This is a brilliant product. Does exactly what it promises! Quick and easy to use and my sink looks great. Must add my order arrived very quickly and the price is excellent. Very happy with the service and products I received, will definitely use again. Fast delivery and very pleased with item received.